Today, over 100 countries celebrate Safer Internet Day by focusing on how people, including teens and kids, use connected technology and what we can all do to make things better. Since AVAST is trusted by over 200 million people worldwide to protect their devices, we asked some of them to share #OneGoodThing about how we can keep safe so we can use technology freely at home, school, and work. Kids can be adventurous, and not think about the consequences - online as well as offline. Khizer's advice: Good protection and involved parents. Kevin's dad has a good idea. This is what we call a "teachable moment." Not everyone is who they claim to be on the internet, so Eric warns kids to be careful about talking to strangers. 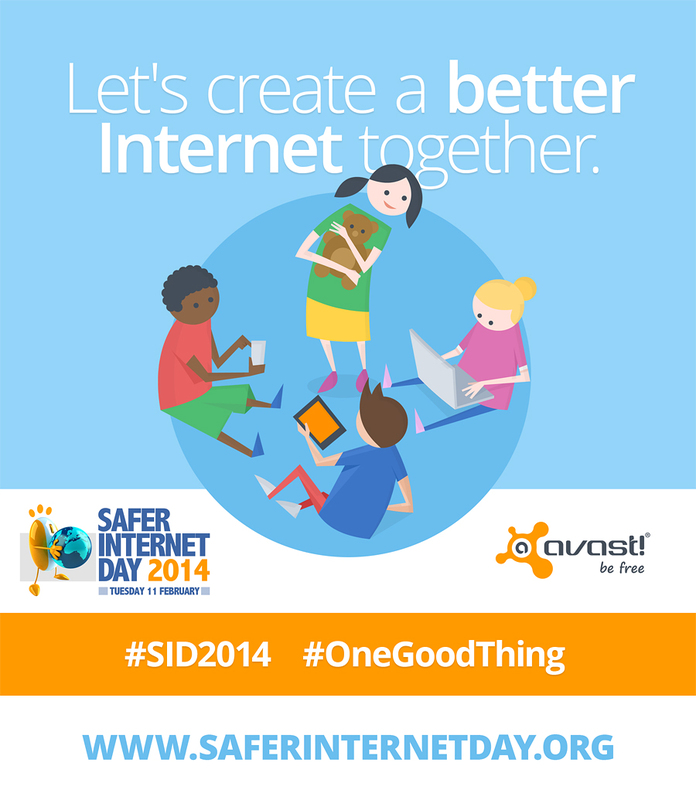 If you have something to add about being safer on the internet, please share your tips using the hashtag #onegoodthing.